Representatives from more than 70 countries are expected to attend a two-day conference on the Middle East, which opens on Wednesday in the Polish capital, Warsaw. The US-sponsored meeting was first announced by Secretary of State Mike Pompeo during a regional tour last month. At first, he said the conference would “focus on Middle East stability and peace and freedom and security in this region, and that includes an important element of making sure that Iran is not a destabilizing influence.” But, later, US officials said the conference will not be dedicated to creating an anti-Iran military coalition. 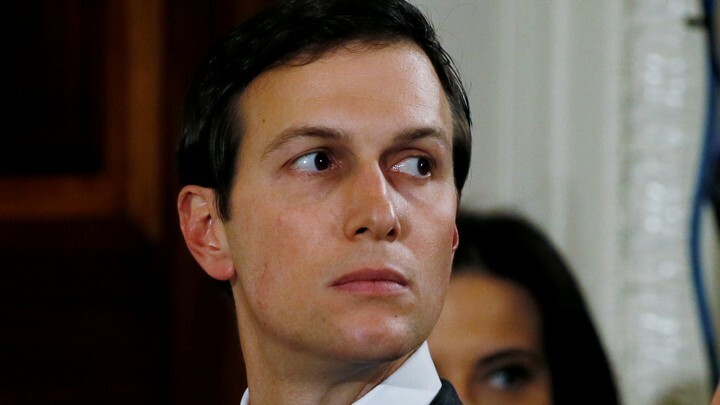 But US media reported this week that President Donald Trump’s senior adviser, Jared Kushner, who will be attending the meeting, will reveal parts of the administration’s long-awaited plan for Middle East peace, which has been touted as the “ultimate deal.” Kushner, who will be touring Gulf countries later this month, will discuss the plan’s economic components. For a number of observers, the plan, which will be announced officially in April according to US officials, is economic at its core — ignoring basic Palestinian and Arab political demands. The Palestinians have declined an invitation to attend the conference. President Mahmoud Abbas’ Fatah movement said this week that the US-sponsored conference is “a conspiracy intended to liquidate the Palestinian cause” and that the only party delegated to speak on behalf of the Palestinians is the Palestine Liberation Organization. There is no doubt that the majority of Arab countries attending the meeting will not be comfortable being seen as taking cost-free steps to normalizing ties with Israel when Netanyahu and his right-wing government are shrugging off the two-state solution. Furthermore, while there is an agreement that Iran’s regional agenda is a destabilizing factor, Arab states are not in the mood to be part of an anti-Iranian military alliance that includes Israel. While Pompeo was in the region, he talked about the creation of a Middle East Strategic Alliance (MESA), whose main objective would be to counter Iranian regional ambitions. It is not only Arab countries that have reservations about US anti-Iran plans. The EU, as well as Russia and China, have criticized Washington for withdrawing from the nuclear agreement with Tehran without providing an alternative. They also rejected US economic sanctions and are trying to find ways to save the nuclear deal and maintain commercial ties with Tehran. It is unlikely that Washington will get more than 70 countries to adopt a unified policy against Tehran at this stage. Furthermore, the US has been sending mixed messages about its presence in the region, with Trump announcing that his troops will be withdrawing from Syria soon and that Daesh has been defeated. Clearly not all US allies in the region, as well as most members of Congress, agree with the president. Trump’s position on Tehran has polarized Iraqis, but his recent announcement that American troops will remain in Iraq to watch Iran has triggered calls by almost all political players in Baghdad for a complete US withdrawal. So what does the US hope to achieve from the Warsaw conference? Other than demonizing Iran, it is unlikely that Washington will get more than 70 countries to adopt a unified policy against Tehran at this stage. And, without Russian cooperation, Iran’s military influence and presence in Syria will continue. In fact, the Warsaw meeting will only strengthen the Russian-Iranian alliance; something that Israel and other countries in the region see as a major geopolitical threat. For now it seems that unveiling parts of Trump’s Middle East peace plan will be the main outcome of the conference. It will be interesting to see how Israel, Arab and European representatives react to Kushner’s presentation. Chances are that the proposed plan will mark a major departure from UN resolutions, the Oslo agreement and all previous US initiatives and policy positions. This will be the first step in a tricky sales pitch that Kushner will be making during the coming weeks, as he tours the region disclosing components of Trump’s plan. And one can assert that reactions to the plan, publicly and privately, will polarize the region further and marginalize the Palestinians. And yet Arab countries that are close allies of Washington will find it difficult to reject the plan outright. It is possible that individual reactions to the plan could strain relations with the US. This is why the upcoming Arab League summit in Tunisia will be yet another test of pan-Arab consensus over one of the most crucial regional conflicts — one that the world has sadly failed to address.